My time spent in Iceland was a return to so much of what I love. For a couple years I had been following several photographers on Instagram and one after the other, their travels took them all to Iceland in turn. It’s an adventurer-hiker-photographer’s dream and it quickly rose to the top of my travel list when I saw all the beauty it had to offer -- beauty that was so grand, even hundreds of superb photographs could only provide you with a partial glimpse. During my semester abroad in college, I learned that I gravitate towards places and sights that showcase nature and landscapes rather than man-made marvels. In three months, I saw enough museums to last me a lifetime. When it came time to planning weekend trips, I chose the Cliffs of Moher over the Colosseum and Claude Monet’s gardens over Versailles. The great tragedy of visiting Vienna in November for someone with California blood was that I couldn’t bear to be outside in the fall -- the weather was too brutal the week I was there. Knowing all this about myself, a visit to Iceland was inevitable and a summer visit was essential. A few spectacular YouTube travel videos later and I couldn’t wait any longer. My ticket was booked. Probably my biggest tip for traveling to Iceland for your first time: go during the summer season (late May through August). This was important to me for reasons beyond avoiding my fate as a human popsicle. First, when I began researching various activities, the ones that most interested me were best done in the summer and not available when temperatures begin to drop starting in September. And second…MIDNIGHT. SUN. With its proximity to the Arctic Circle and the tilt of the Earth's axis towards the sun during summer, Iceland enjoys incredibly long days with very few hours of darkness. When I was there in June, the sun would set just before midnight and barely sink below before it was back up around three in the morning. The sunlit skies are extraordinary and the generous sunlight makes your exploration feel nearly limitless. The one tradeoff worth mentioning is that the Northern Lights are not visible during this time of year but I’m set on a future visit to Alaska to see those and thus, didn’t feel like I was missing out at all. For this trip, I wanted to pair some solo traveling with a group tour experience. I spent three days solo and five days with a travel group from Under30Experiences. I really enjoyed the freedom of navigating on my own for the first few days of my trip but it was great to then hand over the reigns and relax a bit since U30X takes care of all the logistics for you. 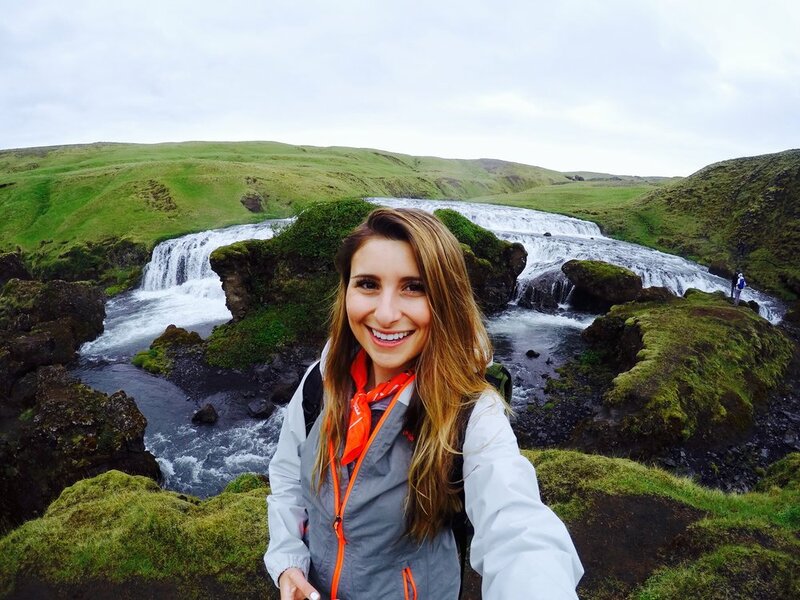 A lot of sights in Iceland are spread out, so you'd need to rent a car and map your way there or join other tours. Reykjavík is Iceland’s capital and largest city, and home to just over a third of Iceland’s population. Even so, it feels extremely quaint and accessible. You can orient yourself in a day’s time and it’s easy to explore the city on foot and cover most of the sights in a few days. I loved walking around this little city especially along the harbor and just seeing where I’d end up. The Laundromat Cafe - An incredible cafe with a laundromat downstairs (so basically, every backpacker’s dream). Good menu, delicious food, and the decor quirks, which include rainbow bookshelves and world maps that paper the walls, make for a fun and Instagram-worthy spot. 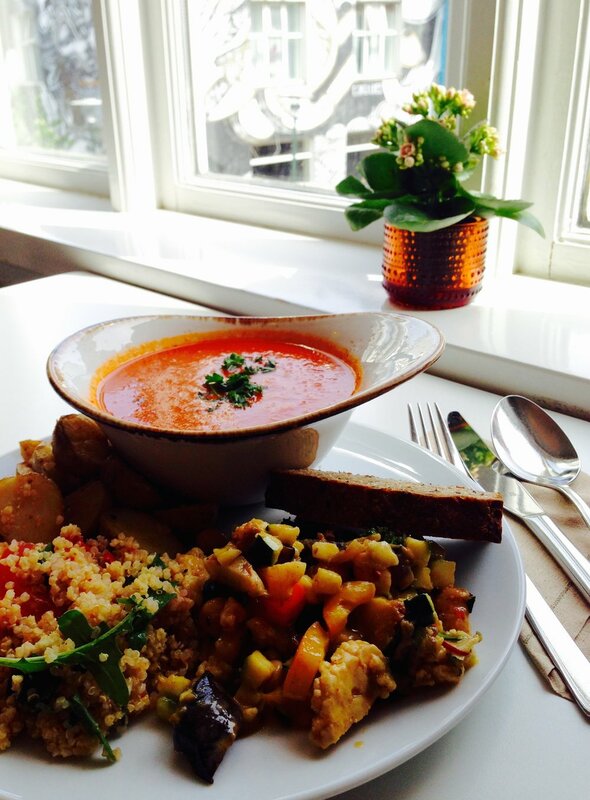 Glo Restaurant - So remember the year and a half I was a vegetarian? Yea, this was then. Delicious plant-based soups, salads, and sides. Everything was very hearty and flavorful and I swear the meal I had here brought me back to life post jet-lag. The Seabaron - Soup and seafood spot. The ambience felt very communal and family-run and the outdoor seating has views of the harbor. Reykjavík Roasters - That good good coffee. Kaffi Vinyl - Coffee shop + vinyl records = solid combo. 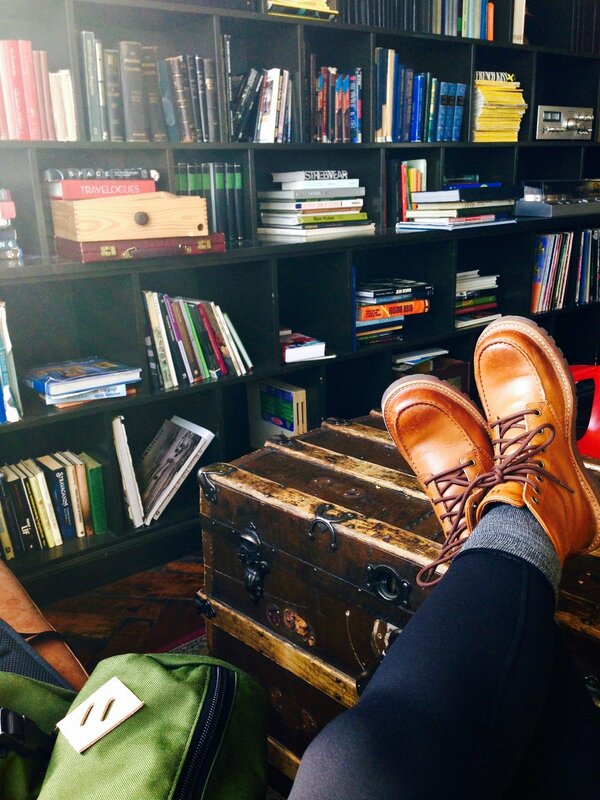 Stofan Kaffihus - Comfy, cozy atmosphere, and eclectic decor. Good coffee, sandwiches, and pastries. 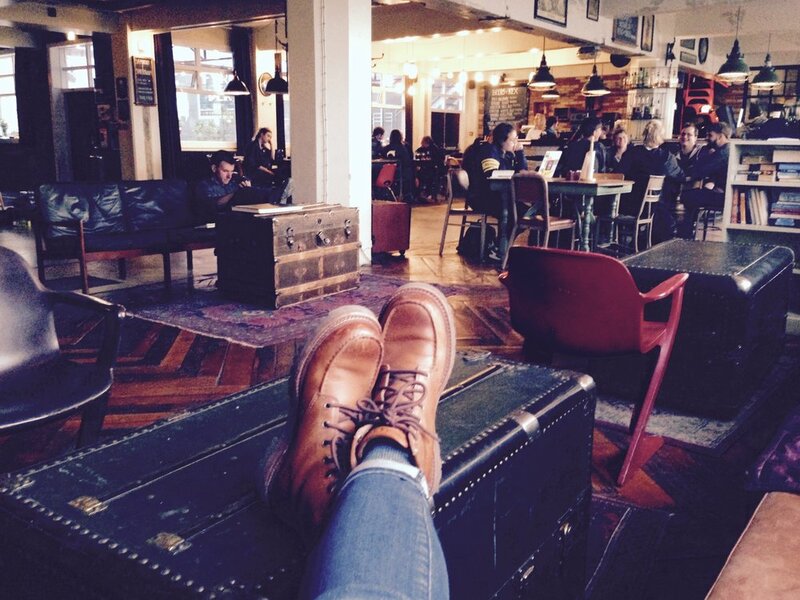 Kex Hostel - This had the vibe of an Ace Hotel, but on a hostel budget (mind you, not necessarily cheap in Iceland). Every space in this hostel is thoughtfully decorated -- think industrial style, subway tile everywhere, wood/metal chic. you’ll dig it. Their restaurant and bar are top-notch, so there's no need to wander out to find a dinner spot if you’ve returned tired from a long day trip. You’re sure to find some other travelers to share your meal with -- high probability they’ll be from Colorado or Washington as I discovered. Also, breakfast is very important to me and can I just tell you...get the breakfast here. The bread, the butter, the eggs, everything... just simple and so so good. 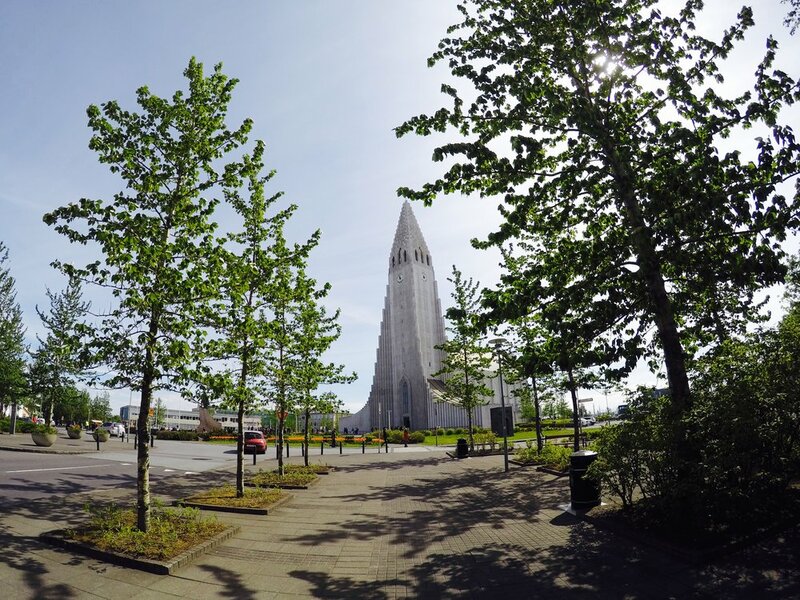 >> Visit the Hallgrímskirkja church and take the elevator up for the view at the top to see the colorful buildings from above. 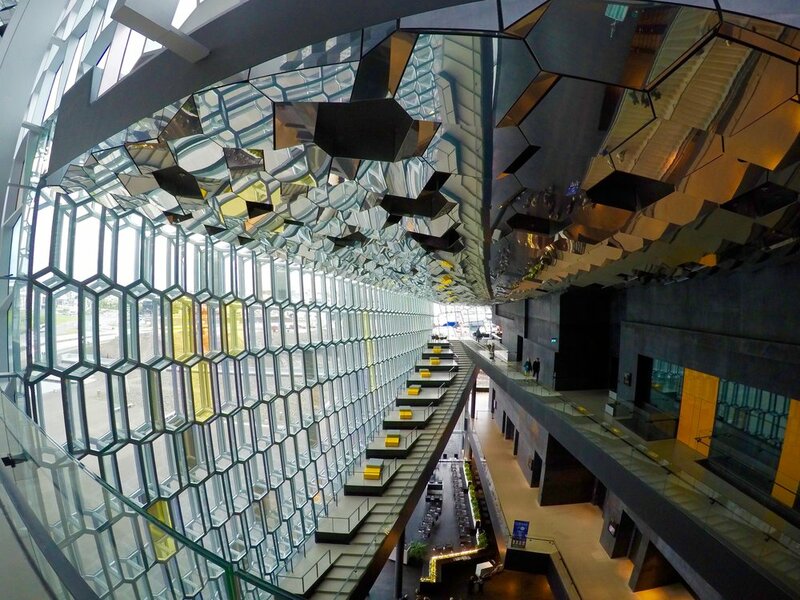 >> Explore Harpa Concert Hall. The architecture from inside is stunning and it’s a fun way to spend a couple hours of solitude. All the pictures below were taken at around 10:30pm in the evening. 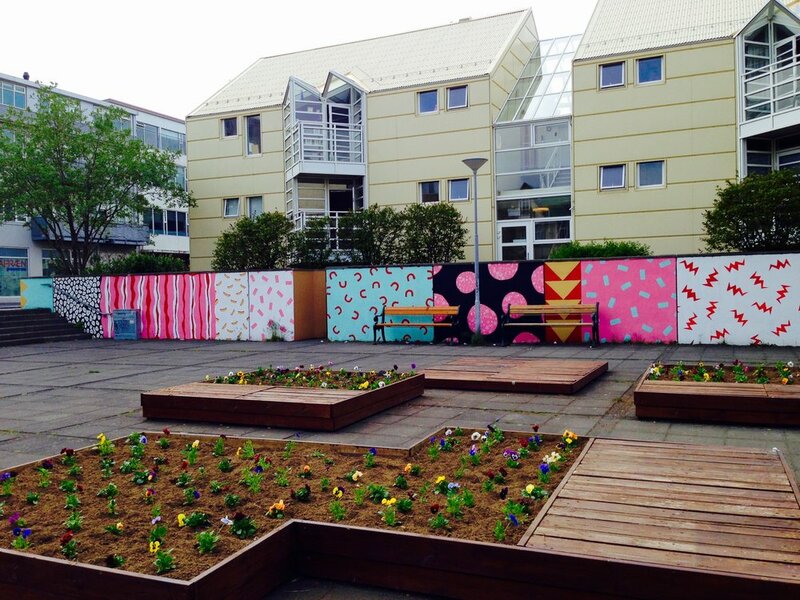 >> Take in the street art all across the city. Loved this little courtyard (bottom left) near my hostel that had random murals with pizza slices, bacon and eggs, macaroni shapes and more ha! And this statue (bottom right) was more serious in nature -- a provocative reminder that there's much more to life than work. "You weren't born to just pay bills and die." 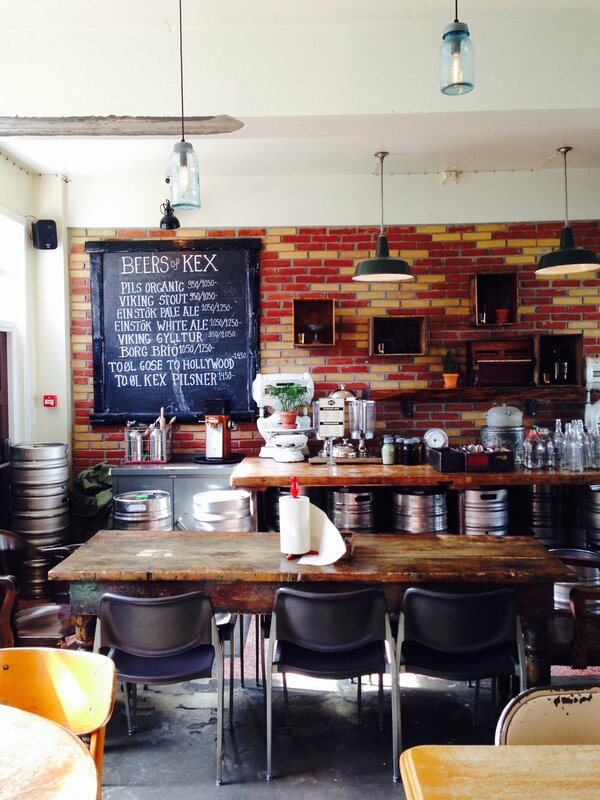 >> People watch at the Kex Bar. I stayed here for a few nights before I met up with a travel group and had one last night here before my flight out on the final day. I was feeling down about the trip coming to a close and ended up staying in this corner library and lounge area well past midnight despite an early morning flight. I regretted this the next day when I had a series of delays and missed flights that stretched out my return home and I landed back in Los Angeles utterly exhausted. Don’t let the sunlight fool you, you’re not solar-paneled! Get in your rest. I booked my flights only a couple months out from my trip and wasn’t able to find tickets for my dates, but I’ve heard great things about WOW Air, specifically their stopover offer. 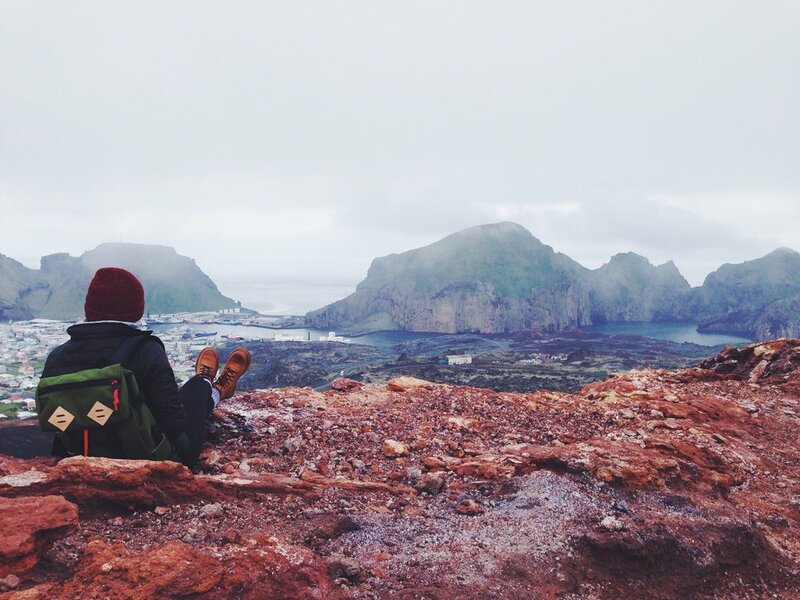 This allows you to include an extended stopover in Iceland on a flight between North America and Europe, so you can potentially see more for your money and pair Iceland with another European destination while you’re at it. 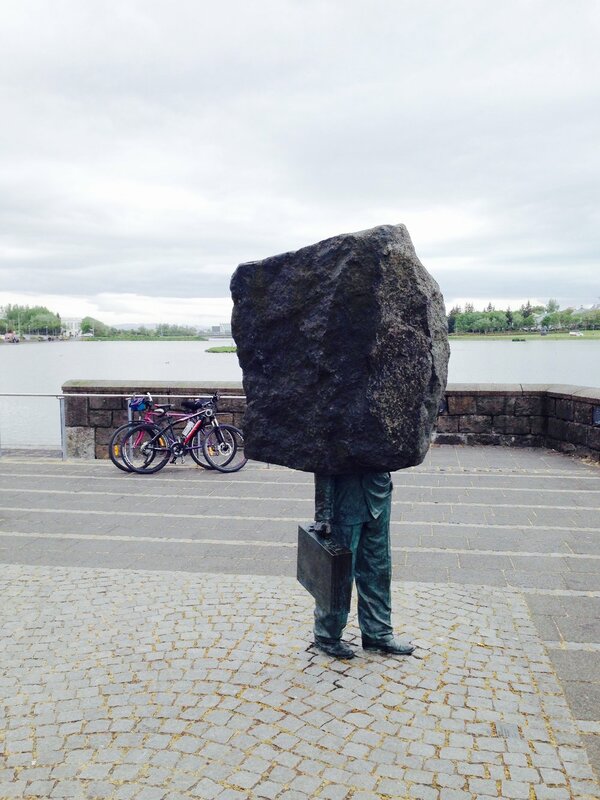 Even if you only fit in a few days in Reykjavík, it will be worth it.